Andrew Evaskovich’s petition took advantage of a process put in place by Congress in 2000 that allowed groups of workers to secure benefits if they could show that they worked at a nuclear facility, that they had a cancer linked to radiation and that lab managers failed to accurately keep track of their exposures over time. In 2009 and again last year, NIOSH recommended that Evaskovich’s petition be denied. Both times, however, outside reviewers found major flaws in its analysis, and a federal advisory board told NIOSH to keep working. In October, NIOSH again recommended that the petition be denied. And this month, outside reviewers again indicated that they had found serious problems in its analysis. What has happened to Evaskovich’s petition is playing out at nuclear labs across the country. At the Savannah River Site in South Carolina, a petition has languished for 11 years. At Sandia National Laboratories in Albuquerque, workers have been waiting seven years for a final decision. InvestigateTV has partnered with ProPublica and the New Mexican on this story. Watch their report. Taken together, the delays show the glaring holes in a process set up to help injured nuclear workers collect compensation for radiation-linked cancers in a “timely, uniform and adequate” way, an investigation by the Santa Fe New Mexican and ProPublica has found. Petitions linger for years without resolution, violating the spirit, if not the letter, of the law. And NIOSH has repeatedly made improper conclusions about the safety and recordkeeping at Los Alamos and other sites, only to be contradicted by independent consultants and forced to redo its assessments. Since 2004, 269 petitions similar to Evaskovich’s have been filed with NIOSH for review. Of those, about half have been approved, mostly for those who worked at nuclear sites before the 1990s. NIOSH and the Department of Health and Human Services have yet to decide on 13 petitions, most of which seek to help workers employed after the mid-1990s. David Michaels, who helped establish the compensation program as assistant secretary of energy for environment, safety and health in the administration of President Bill Clinton, and later led the Occupational Safety and Health Administration under President Barack Obama, said the problems identified by the New Mexican and ProPublica show that the program is not working as intended. “Congress has to fix it,” he said. This is not the first time government officials have been accused of delaying action on petitions by nuclear workers. In 2006, members of Congress faulted the administration of President George W. Bush after internal memos suggested plans to deny petitions based on cost, rather than on scientific merit, in order to keep the overall expense of the benefits program down. As a result of the delayed petitions, thousands of workers across the country have been left to navigate the benefit process by themselves, sometimes with incomplete or questionable exposure and employment records. Often, they are denied benefits. 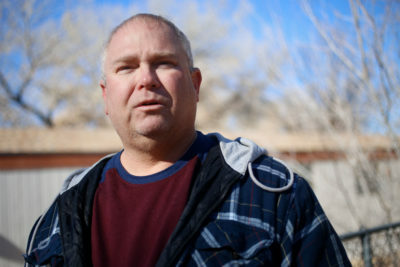 Last month, the New Mexican and ProPublica profiled the case of Chad Walde, a maintenance worker at Los Alamos who was diagnosed with brain cancer in 2014 and whose claim for benefits was denied. Walde’s recollections of his radiation exposure, confirmed by family members and colleagues, were not reflected in the lab’s official records, which formed the basis of the denial. Walde died in June 2017. At Los Alamos alone, at least 967 people who began working at the lab since 1996 have applied individually and been denied compensation for cancer, and most of them would become eligible for benefits if Evaskovich’s petition is approved. Another 800 people have been approved, federal data shows. Countless others may be sick but haven’t applied, said Bill Richardson, energy secretary during the Clinton administration. The Department of Energy, which oversees nuclear labs, as well as NIOSH say that nuclear sites are safer and have done a better job monitoring workers since 1996, largely because of the new federal rule. The regulation requires sites to limit the amount of radiation workers are exposed to annually, monitor the amount of radiation absorbed by skin and inside the body for “at-risk” workers, and implement plans to protect workers from radiation. The government says it is confident the only workers who weren’t monitored were those who faced no risk of radiation. But Joe Fitzgerald, an independent consultant paid by the government to assess the scientific integrity of NIOSH’s work, said last year that officials should have analyzed how well the lab’s radiation protection program was actually working rather than taking Los Alamos at its word that it was following the more stringent federal safety regulations. The lab “did not magically” have the ability to follow the rules in 1996 just because the government said it had to, Fitzgerald told the Advisory Board on Radiation and Worker Health, which includes physicians, scientists and workers and was established to advise the government. 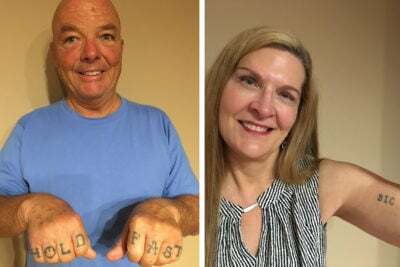 Fitzgerald, who has been working with the advisory board for roughly 15 years, declined to discuss the petition in an interview. In his most recent assessment, dated Nov. 16, Fitzgerald concluded that NIOSH’s latest recommended denial again ignored serious questions about the adequacy and completeness of worker-monitoring records at Los Alamos. In an interview in September, a NIOSH official acknowledged that the agency was wrong to assume that Los Alamos was implementing radiation safety rules for years. “I thought we were being efficient and expedient, and it didn’t work out,” said LaVon Rutherford, a health physicist responsible for reviewing the petition Evaskovich filed. Still, Rutherford said he stands behind the integrity of his agency’s assessments and believes the petition should be denied. Evaskovich, who started working on the petition in 2006, says federal officials have failed to address the concerns raised in his petition, and problems at the lab are only continuing. In September 1999, workers at a Department of Energy uranium processing plant in Paducah, Kentucky, sued the plant’s management contractors, including Union Carbide Corporation, Lockheed Martin Corp. and others. They alleged the contractors deliberately withheld information from workers about the risks at the plant. 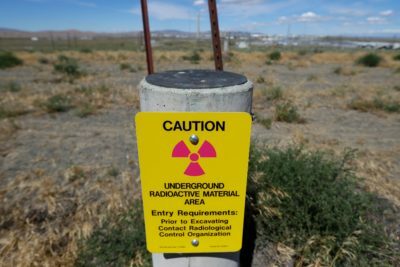 A separate lawsuit accused the contractors of defrauding workers and the government about the amount of plutonium in the environment surrounding the plant, reporting lower levels than actually existed. The U.S. Court of Appeals for the Sixth Circuit ruled against the workers in the class action, and the Supreme Court declined to hear the case. The environmental lawsuit was ultimately settled. The disclosures, however, were among many revelations in the late 1990s that shaped how the Department of Energy crafted its compensation program for nuclear workers with cancer and other illnesses. Richardson, the energy secretary at the time, apologized on behalf of the government for failing to inform workers of the risks at Paducah and other sites. The process required coordination between the Department of Energy, NIOSH and the Department of Labor, which oversees the claims process. The Department of Energy would turn over environmental and worker radiation records to NIOSH, which would take that data and run elaborate risk calculations that compare the hazards present at a site to their likelihood of harming workers. The final say on the petitions was left to the Health and Human Services secretary. The rollout of the law did not go smoothly. In the years after its passage, HHS delayed putting in place regulations to implement the petition process. In February 2004, 16 senators, including Hillary Clinton of New York and Pete Domenici of New Mexico, wrote to the HHS secretary urging action, and the department began accepting petitions that year. But before long, there was again resistance, this time from the White House and Department of Labor, which were anxious about the number of workers that might qualify for benefits because of approved petitions — and the amount of compensation they would have to pay. Others who participated in the hearings pointed to other memos Hallmark had written, made public by Congress, trying to limit the power of the federal advisory board and its consultants. In one, Hallmark suggested the independent consultant reviewing NIOSH’s work, Sanford Cohen & Associates, or SC&A, was too worker-friendly because of its criticism of the agency. Hallmark acknowledged in a recent interview that he had concerns about the cost of the program. But more broadly, he said he believed the approach scientists were using to estimate a person’s risk of developing cancer was flawed. He said he thought Congress should get rid of the petition process and NIOSH’s reliance on exposure data for individual claims. In the years that followed, the Government Accountability Office determined that the claims process and the scientific review involved had proved to be more difficult and expensive than anticipated. GAO also questioned a lack of transparency within the Labor Department, which was weighing in on scientific decisions without explaining why. That “could give the appearance of an effort to deny benefits to eligible claimants,” the GAO wrote in 2007. At a congressional hearing that year, Dr. James Melius, an international medical expert who chaired the Advisory Board on Radiation and Worker Health, said the amount of time it was taking for NIOSH to process petitions and individual workers’ claims far exceeded what was reasonable. “We need to make that process work better,” said Melius, who helped create the compensation fund for 9/11 first responders and died in January 2018. But his advice has not been heeded. As Congress was reviewing the program, Andrew Evaskovich found himself navigating the Las Vegas Strip in September 2006. His union, International Guards Union of America Local 69, had paid his way to attend a meeting of the advisory board. Evaskovich sat beside Harriet Ruiz, a former New Mexico state legislator who had written a petition asking that Los Alamos workers employed through 1975, including her husband, Ray, be designated a special class for benefits. Ray Ruiz, who served in the New Mexico House of Representatives, had died of lung cancer while working on the petition. His wife took over his House seat and his work advocating for his former Los Alamos colleagues. At that first meeting, Evaskovich learned that those filing petitions had dedicated years of their lives to trying to unearth information about problems within a department that is one of the nation’s most secretive. Many were the friends, coworkers, wives or children of sick nuclear workers. Evaskovich returned to Los Alamos and promised his union brothers that he would be their champion. Each day, after his shift at the lab, he would deposit his gun, hit the gym and then go to the union house to research the health and safety conditions that surrounded him. “I saw there was a problem and I wanted to help,” he said. It took Evaskovich nearly two years to complete the petition, but in April 2008, he filed his request, asking that workers employed at the lab between 1976 and 2005 be given the special designation that would make it easier to gain benefits. His petition was accompanied by a 10-pound box of documents and digital CD-ROMs. Evaskovich also researched an incident he remembered firsthand: In the summer of 2005, a scientist opened a package sent from the lab’s plutonium facility and released radioactive americium. The scientist spread the contamination through the laboratory, to a grocery store, into his home and across three states. It was on the security badge he handed over to guards each day. Eleven days passed before lab managers realized anything was wrong. Only on that day were workers checked for radiation exposure. Roark, the lab spokesman, says the response to this event was “comprehensive and deliberate.” He said the lab tracked where the contamination spread and which individuals were affected. Remembering that first meeting in Las Vegas, Evaskovich knew that it could take a couple of years for his petition to move through the system, but he didn’t expect what was to come. 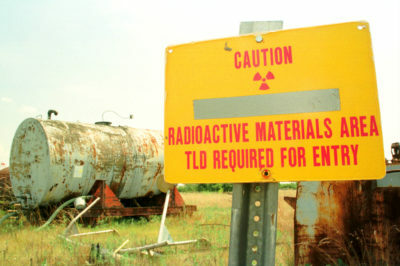 In January 2009, NIOSH recommended that the Los Alamos petition be rejected. 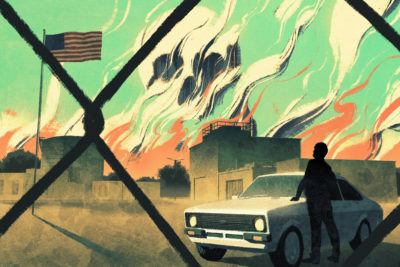 NIOSH said that, dating back to the 1970s, Los Alamos had kept robust proof of its workers’ exposure to radiation, and that this documentation was sufficient to know the unique risk faced by each worker. Because of that, the agency said, it was confident a special cohort was unnecessary. But the recommendation overlooked numerous issues, including a large federal investigation into the laboratory’s practices in 1991 that directly contradicted many of NIOSH’s conclusions. It found hundreds of significant problems with how the University of California, which independently ran Los Alamos at the time, was handling environmental health and safety at the lab. NIOSH’s report drew pushback from the federal radiation advisory board, independent scientific consultants and members of Congress. The consultants, SC&A, found that certain types of health monitoring had actually decreased in the ‘90s, which could make it difficult for NIOSH to accurately assess claims from that period. NIOSH recommended allowing those employed before 1996 to be eligible for benefits without proving they were exposed. It said that it would continue to review the petition covering those who started work from 1996 to 2005 but that it assumed Los Alamos followed the Department of Energy’s new occupational radiation protection rule as of Jan. 1, 1996. It took until April 2017 for NIOSH to release another recommendation on the Los Alamos petition filed by Evaskovich. The agency again recommended that it be rejected. The agency said in several public meetings that it was delayed in reaching a decision in part because it could not access all the records it needed from Los Alamos prior to early 2017. “We are also going to review the current reporting system as soon as we get access to that,” NIOSH official Rutherford told the advisory board at a meeting in November 2016. Roark, the Los Alamos spokesman, said radiation records are “readily accessible” and “our complete exposure history has been provided” to NIOSH. 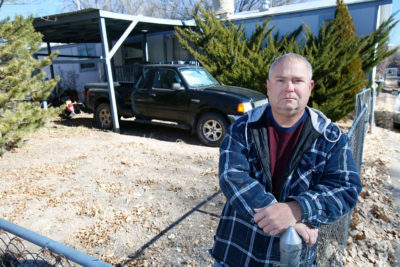 Stuart Hinnefeld, director of the compensation analysis and support division for NIOSH, told the New Mexican that while, in general, the Department of Energy has been “very responsive” to NIOSH’s requests, the agency has little recourse to compel the department or its contractors to provide records. Once NIOSH obtained access, it said it had found that Los Alamos was following the federal radiation protection rule. While only half of the workers who filed claims for cancer had monitoring records for urine samples to measure radiation exposure, Rutherford said he was not troubled by that the number. Not all workers needed to be monitored, he noted, just those in high-radiation areas. For the others, their jobs shouldn’t involve them having contact with radiation. But within four months, SC&A, the consulting group hired to review NIOSH’s work came back with its own report. It again found numerous problems with the national institute’s conclusions. While NIOSH said the mid-’90s represented a turning point in nuclear safety, Fitzgerald, the independent consultant who reviewed its work on behalf of SC&A, said this shift did not happen immediately. “Radiation protection, was very much an evolutionary program,” he said during a teleconference last summer with the advisory board and NIOSH. In 2003, Linton Brooks, then the administrator of the National Nuclear Security Administration, wrote that “LANL’s previous corrective actions have not been effective in preventing the recurrence of the radiological and safety” violations after yet another problem occurred that year. 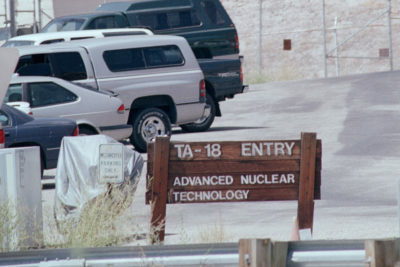 Fitzgerald said that Los Alamos and other sites were given “quite the latitude as to what extent that their existing programs met” the Department of Energy’s radiation safety rule. The process began again. When NIOSH responded to Fitzgerald’s critique this October, the agency agreed that Los Alamos had not completely followed the 1996 radiation safety rule, and that there had indeed been violations. But NIOSH said there was ample evidence to conclude that the lab had been adequately monitoring workers in recent years. NIOSH once again said it could use algorithms to determine how much radiation workers were exposed to based on data supplied by the lab. That would allow each worker’s claim to be judged individually. Roark, the Los Alamos spokesman, defended the lab’s compliance with Energy Department rules, saying “isolated violations over roughly a decade do not amount to” problems with their program. In a PowerPoint presentation during Thursday’s advisory board meeting, Fitzgerald again said that many of NIOSH’s assumptions were unfounded. His findings also noted that NIOSH had not addressed problems identified by the lab and the Department of Energy in the late ‘90s that were not corrected until the early 2000s. Josie Beach, who chairs the federal advisory board’s working group focused on Los Alamos, suggested the group recommend Evaskovich’s petition be approved, at least for workers employed before 2000. 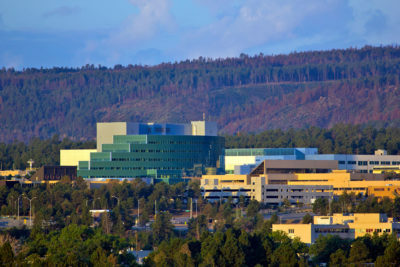 But other board members said they should give NIOSH more time to determine what new records they might need to prove Los Alamos’ unmonitored workers weren’t at risk. NIOSH said it will provide a plan to the board by March 2019. Criticism of NIOSH’s work has extended to several other laboratories, with consultants frequently poking holes in the agency’s logic. In late 2007, an attorney filed a petition on behalf of workers at the Savannah River Site in South Carolina asking that workers employed between 1950 and 2007 be granted special status. Three years later, NIOSH recommended the petition be denied, saying, just as it had with Los Alamos, that it could use equations to estimate how much radiation every worker at Savannah River had been exposed to dating back to 1950. David Anderson, an attorney working on the matter, disagreed. “When we looked more closely at these methods and data, we discovered alarming levels of inappropriate extrapolation and even exaggeration, as well as significant gaps” in their data, he said during an advisory board meeting in 2012. The Advisory Board on Radiation and Worker Health hired SC&A, to evaluate the NIOSH recommendations at Savannah River and it agreed with Anderson’s critique. SC&A questioned how workers were tested for radiation absorption after 1996. The critiques prompted NIOSH to reassess its work and partially reverse itself. The government ultimately determined that all workers employed between 1952 and 1972 should be eligible for benefits. The petitioners are still trying to gain benefits for more recent years. “There's a lot of new positive safety, accountability measures but there are still workers that are getting exposed and we should at the very least treat them right and give them medical attention and protect them,” he said in an interview with Investigate TV, a partner with ProPublica and the New Mexican. Richardson estimated that hundreds of thousands of workers could be eligible for benefits but lack the records to support their claims. After more than a decade working on the petition, Evaskovich feels like the system is stacked against him and other petitioners. 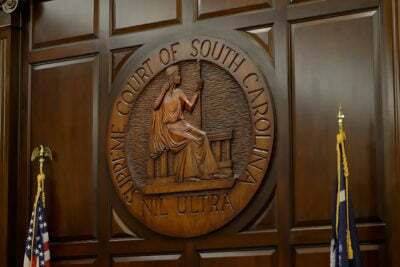 For years, he has organized his vacations around NIOSH meetings in Florida, Ohio, New York, Georgia and Colorado so he can plead his case, on his own dime. Evaskovich said safety is still not where it should be. Friends still get injured on the job, new guards are still not always enrolled in monitoring programs and his colleagues still warn one another to avoid unsafe material scattered at a site, he said. ProPublica researchers Decca Muldowney, Alex Mierjeski and Gabriel Sandoval contributed to this report.